The award-winning Pittsburgh Marriott City Center effortlessly blends style & substance in the heart of downtown Pittsburgh, near Heinz Field (Steelers) and across from PPG Paints Arena (Penguins). Valet as well as self-parking in attached garage, so you never have to worry about finding parking in the city! A total of 12 CE to be earned this year with an incredible lineup of speakers for both chiropractors and staff! At each course, you will learn step-by-step training on how to perform all necessary patient exercises, manual therapy techniques and how to provide patents with self-management strategies. At the end of the workshop you will be CERTIFIED in each treatment and be able to implement the Boot Camp Program in your clinic! Dr. Carlo Ammendolia is the Director of the Spine Clinic and the Spinal Stenosis Program at the Rebecca MacDonald Centre for Arthritis and Autoimmune Diseases at Mount Sinai Hospital in Toronto, Canada. He is also an Assistant Professor in the Institute of Health Policy, Management and Evaluation, the Department of Surgery and the Institute of Medical Sciences at the University of Toronto. Dr. Ammendolia has been in clinical practice for over 36 years and now combines clinical practice, research and teaching in the areas of non-operative treatment of mechanical, degenerative and inflammatory spinal disorders. He is the founder of spinemobility, a not-for-profit Research and Resource Centre aimed at developing and testing programs for spinal and other musculoskeletal conditions. 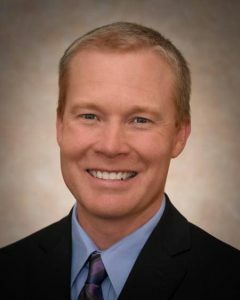 Dr. Ammendolia developed the Boot Camp Programs for lumbar spinal stenosis, persistent low back pain, persistent neck pain, ankylosing spondylitis, sciatica, persistent shoulder pain, knee and hip OA and fibromyalgia. He conducts workshops worldwide on his boot camp programs. In 2012 and 2017, Dr. Ammendolia was recipient of the Professorship in Spine Award from the Department of Surgery in the Faculty of Medicine. In 2015, he was awarded the Chiropractor of the Year Award from the Ontario Chiropractic Association and in 2016 the Researcher of the Year Award from the Canadian Chiropractic Association. 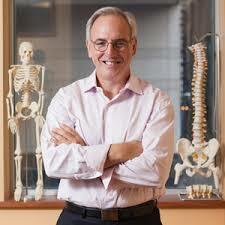 He has published over 39 peer-review articles and has authored several academic book chapters on back and neck pain. 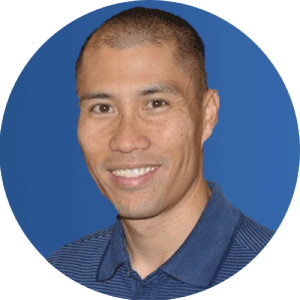 Dr. Wong graduated from Palmer West in 1996 as Valedictorian of his class and has been practicing chiropractic for over 20 years in the San Francisco Bay area. He has taught for over 18 years and over 100 hours across the United States and Internationally. Dr. Wong is also post graduate faculty for Palmer College of Chiropractic West, in San Jose and for the International Chiropractic Association. 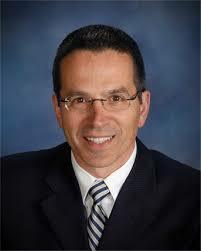 Dr. Wong is a speaker for Foot Levelers, the largest provider of Orthotics in the United States. This is a company dedicated to providing custom molded foot orthotics, pillows and home exercise products for Chiropractors and their patients. These products help patients lead healthier lives. This practical 10-hour presentation is the first of 5 live classes, all hosted by PCA, provided by the University of Bridgeport. Click here for the full list of class dates & info about the program! This course will begin with a discussion of the current evidence-based evaluation and management of common lumbopelvic structural pathology. The discussion will progress to review five commonly overlooked “functional” problems that delay NMS recovery. In one way or another, these functional diagnoses contribute to many, if not all, of the lumbopelvic structural diagnoses that chiropractors treat. The presentation concludes by sharing current knowledge about the classification of low back pain. 1. The ability to perform a thorough orthopedic, neurologic, and functional lumbar spine evaluation. 2. The ability to clinically identify the aforementioned “functional” diagnoses and appreciate their role in “structural” pathology. 3. Knowledge of current “best practice” treatment of lumbopelvic structural and functional lesions. 4. The ability to “classify” lumbar complaints to improve outcomes. The full DACO program includes the above 50 live hours (provided by PCA) and also 250 online hours, provided by University of Bridgeport. Full program information can be found here. Society and currently serves as the President of the Executive Board. successful chiropractic clinics prior; since 1999 she has focused on consulting Chiropractors and their staff on all practice management tasks from patient relations to patient education and patient compliance. 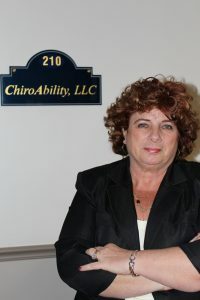 In addition, she and her experienced staff provide outsourced billing services exclusively to the Chiropractic profession. Karin’s prior experience includes eight years as an insurance underwriter with the Insurance Company of North America before and throughout the merger with Connecticut General Insurance Company, now known as CIGNA. During the past nineteen years, Karin has been a published author with a national chiropractic publication as well as a three‐time chiropractic radio show guest host. These experiences have given Karin the appropriate background and education to fulfill a necessary role as mentor and consultant to the profession. Karin is the proud recipient of the Above and Beyond Award as well as the Humanitarian of the Year Award from the Pennsylvania Chiropractic Association. ChiroAbility, LLC is a PCA Strategic Business Partner with special emphasis on membership encouragement as well, and is a member of the American Chiropractic Association. Dr. Victor J. Rizzo is a 1982 graduate of Palmer College of Chiropractic and has been practicing for more than 30 years at his chiropractic office in Altoona, PA. Dr. Rizzo has also been a lifetime member of the PA Chiropractic Association, holding multiple positions in leadership over the years, and currently serving as a PCA Central Region Director. He is well versed in chiropractic radiology for over 20 years due to his avid use of x-rays in his practice, and as a result, Dr. Rizzo serves on the PA State DEPs Radiation Protection Advisory Committee as the chiropractic representative. He has been verified and approved to teach radiology by both the ACRRT and also the American Chiropractic College of Radiology. “Why Patients Do What They Do"
While boundary issues in chiropractic post-graduate education are commonly associated with physical contact and privacy issues, there is a far greater boundary concern. These are linked to the unspoken agreement between a professional caregiver and the patient, affecting patient participating, satisfaction and clinical outcomes. Recognizing the most commonly-held patient beliefs that affect health choices and how they ultimately affect patient expectations and health care decision-making. Being mindful of the patient assumptions and expectations. The distinction between patient priorities and patient beliefs and how they predict patient behaviors and acceptance of chiropractic care as a long-term lifestyle adjunct. Practical application of communication strategies in the professional practice. 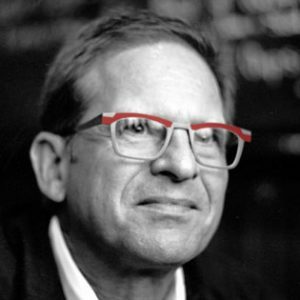 Bill is the President and Creative Director of Patient Media, Inc. He is a chiropractic junkie - He has been receiving weekly chiropractic care since 1981, currently seeing my 9th chiropractor. He has conducted 55 patient focus groups, published 12 books and written over 1,000 blog posts about chiropractic and chiropractors. NEW THIS YEAR -- STUDENTS WELCOME, FREE OF CHARGE! Students - You must register in order to attend this informational seminar. Halloween Costume Contest Saturday night, 8:00p - 10:00p! 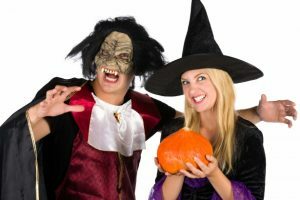 Start planning your best costume now! Book by Sept 27th for $149 per night! Call 412-471-4000 or click here to book online! Looking to Exhibit or Sponsor at this year's Convention? Are you an exhibitor or sponsor ready to register NOW?